An Invitation...by Jo Fong from our 2016-17 IGNiTE project. Photo c. Jessica Bartolini. Trinity is delighted to have been awarded a further four years of funding through Bristol City Council’s Cultural Investment Funding Programme 2018 - 2022, in recognition of our "localised vision that is inclusive, creative and entrepreneurial." Like the Council, we share a commitment to using arts to empower communities, enabling everyone to take part in great art and shape the city’s cultural offer so that it is reflective of all the city’s diverse voices. 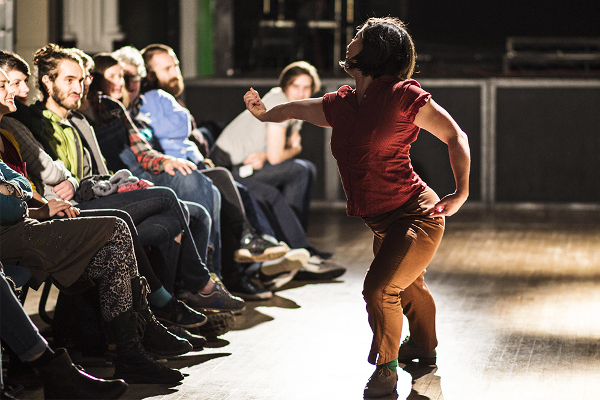 We are heartened by the increased number of grass-roots organisations being supported through Bristol's new ‘Openness’ and ‘Imagination’ funding streams and the continued support for independent arts. Trinity remains dedicated to supporting artists, organisations and communities in the creation of ambitious, inclusive art that connects across the city and beyond and to exploring new ways we can achieve a shared vision of a thriving cultural offer for everyone. Long term investment enables us to plan for the future and to lever match funding from other sources in order that we can continue to programme key events such as our annual Garden Party and Fireworks Celebration; to develop new projects such as Heart & Soul and IGNiTE and to continue to support a wide range of regular classes, artists and groups who use the Centre. Now more than ever, it’s important that we work together to develop new sources of investment for arts and culture.